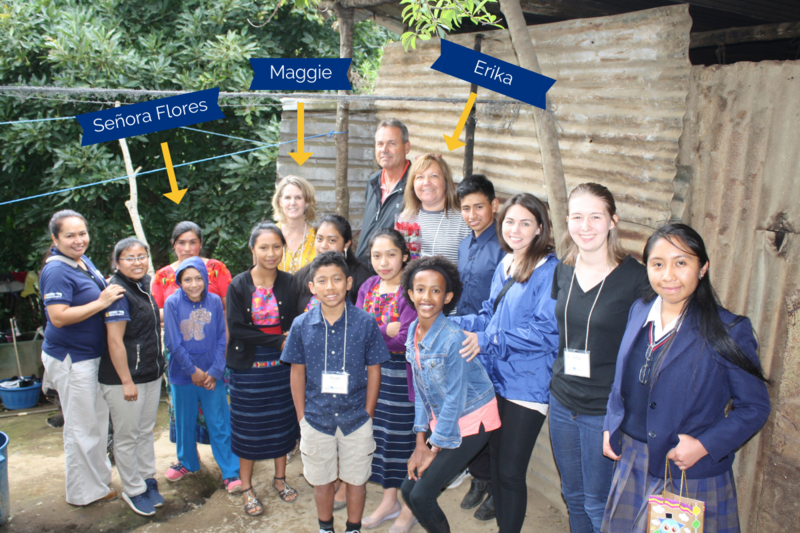 Life-long friends and moms Maggie Gieseke and Erika Barnes were recently blown away by a Guatemalan mother who welcomed them into her home during a CoEd tour to Guatemala. “Being in the room with her, speaking to her mom to mom—it was so powerful,” says Maggie. 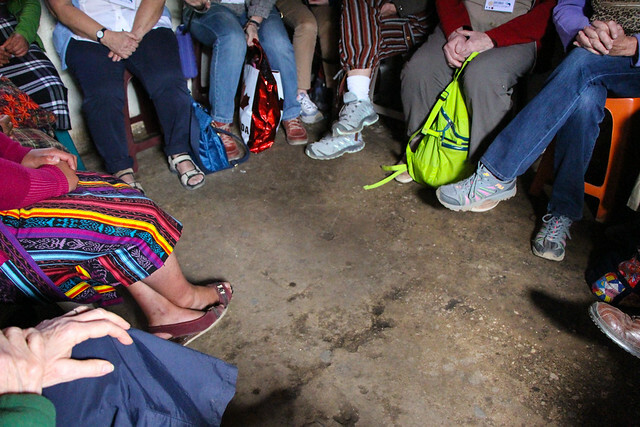 Picture this: You’re on a Cooperative for Education (CoEd) tour and you see on today’s itinerary that you’ve been invited to visit the home of a rural Guatemalan family. You and your fellow travelers tromp down a dirt path, led by a local CoEd staff member. You are linked arm-in-arm with the quiet, bright-eyed teen that you sponsor in CoEd’s Rise Program—it’s the first time you’ve met each other after years of exchanging letters and pictures. After a minute or two of passing low buildings made out of scrap metal, mud, or concrete, you arrive at a rusty, metal door that looks just like all of the others. But your student stops, opens the door, and sheepishly holds it open for you to walk through. After a minute or two of passing low buildings made out of scrap metal, mud, or concrete, you arrive at a rusty, metal door that looks just like all of the others. This is what Maggie Gieseke and Erika Barnes—life-long friends (since the first grade! ), CoEd supporters, and mothers to a collective total of eight (Hail, ye patient women. 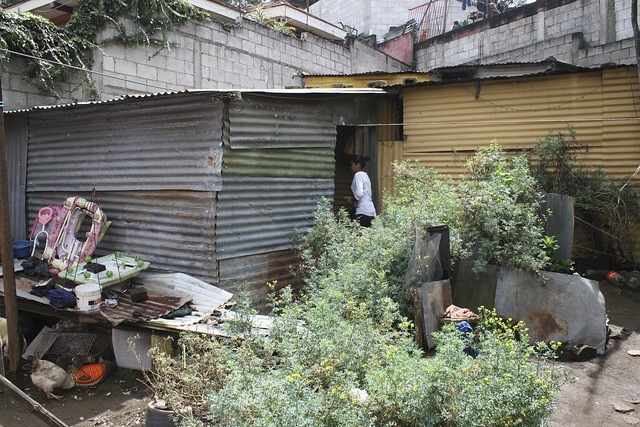 )—recently experienced on a CoEd tour to Guatemala. There under the low metal roof, the mother of that bright-eyed teen welcomed them inside and handed them each a cup of Pepsi. The single bulb above their heads shed soft light on a dirt floor covered with pine needles, and balloons bobbed gently from the ceiling as the group squeezed inside the single-room home. As Maggie and Erika’s eyes adjusted to the dim light, the CoEd staff began to facilitate a conversation between the visitors and the family. So, how can you help out a hardworking mom like this one? When you sponsor a student in the Rise Youth Development Program, you are helping their caregivers (be they mom, dad, aunt, uncle, or grandparents) give a better future to the child they love. You are providing an academic scholarship, personal and professional development, and a team of support staff to help them graduate, make their moms proud, and break the cycle of poverty forever. 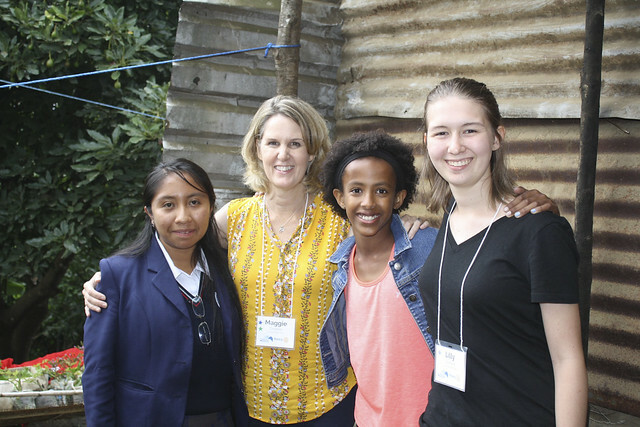 Maggie Gieseke (middle left), two of her daughters (right and middle right), and one of the Rise Program students who they sponsor as a family (left). Such a moving story! I need to remember that before I open your emails in a public space… my tears are not appropriate in all settings…thank you for the reminder that our hearts desires for our children unite us across the world! Aw, Cheri! Thank you for being an outstanding champion of moms everywhere! We love you!